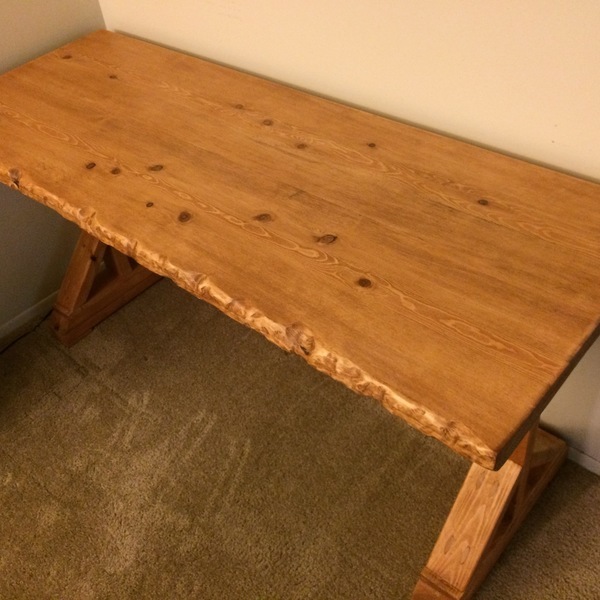 Built using 2x4s, 1x4s, and 1x12 with pocket hole screws and nails. 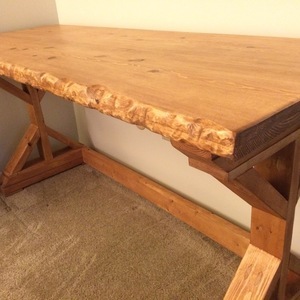 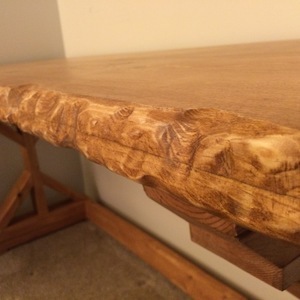 I had an idea to create my own live edge desk. 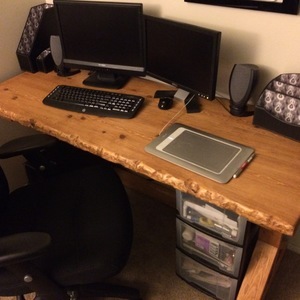 I was in need of a desk and wanted to create my own style instead of using a plain top. Using a belt sander and orbital sander I was able to create a live edge look.